The Sea-to-Sky Highway (Highway #99) winds along Howe Sound from North Vancouver to Squamish and then climbs through the mountains to Whistler. The road trip along the water is very picturesque and takes less than two hours. 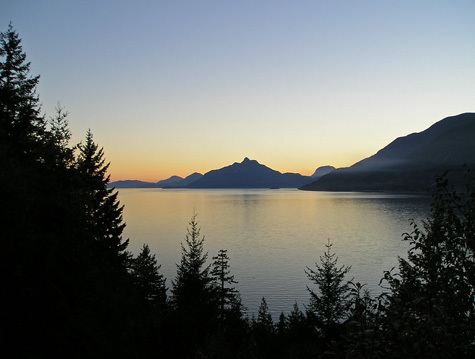 There are two or three scenic viewpoints along the Sea-to-Sky highway intended for vehicles travelling southbound (i.e. Whistler to Vancouver). Make sure to take a few moments at the end of your day to enjoy the spectacular mountain and ocean views at these rest stops.